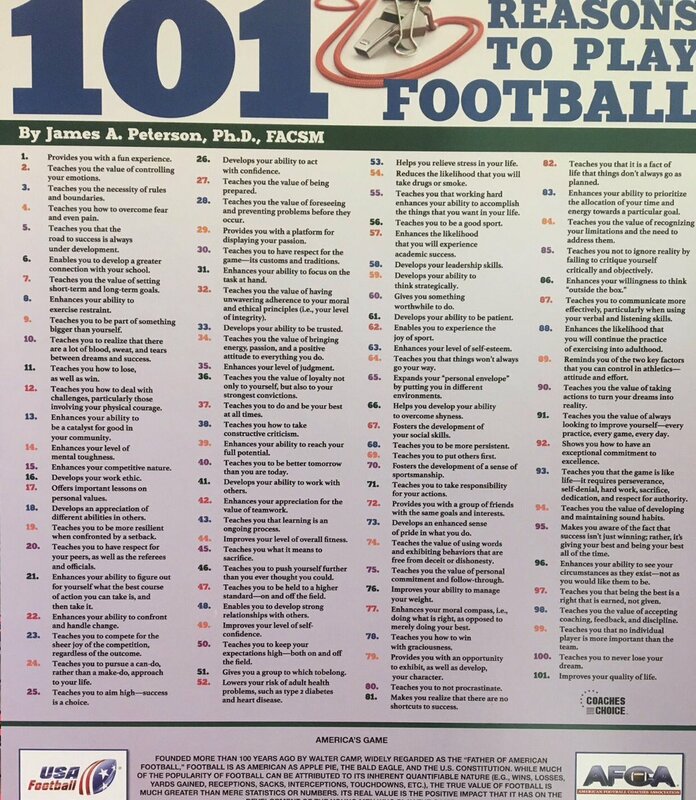 101 Reasons To Play Football- While much of the popularity of football can be attributed to its inherent quantifiable nature (e.g., wins, losses, yards gained, receptions, sacks, interceptions, touchdowns, etc. ), the true value of football is much greater than mere statistics or numbers. Its real value is the positive impact that it has on the development of the young children who play the game.